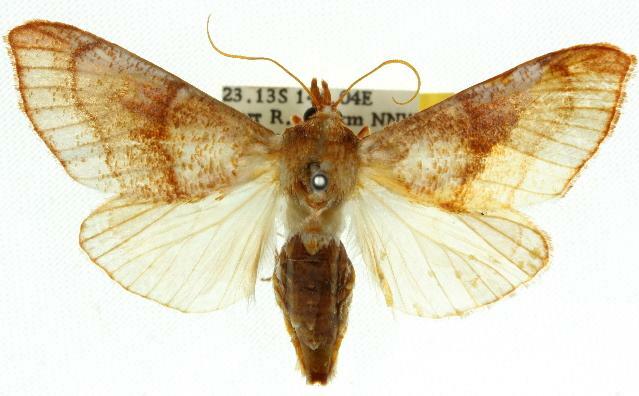 The adult moths of this species have yellowish brown forewings, each with two transverse wavy lines, and a pale basal area containing scattered dark dots. The forewing margins have a slight double recurve. The hindwings are pale yellow with dark veins. The head and thorax are rusty-orange. The males have a wingspan of about 5 cms. The females have a wingspan of about 5.5 cms. 1895, p. 912, including fig. 17. Volume 35 (1922), p. 48.